Our journey began in May 2018 when we suddenly realised that we finally had enough money in the bank to bring our dream to life. I have spent most of those 10 years trying not to think about the boat – I couldn’t take another disappointment like 2008 so just kept the thought at the back of my mind of maybe “one day”. For those who haven’t read “Our Story“, we have been down this route before but had to cancel our order when the global financial crisis nearly wiped us out. 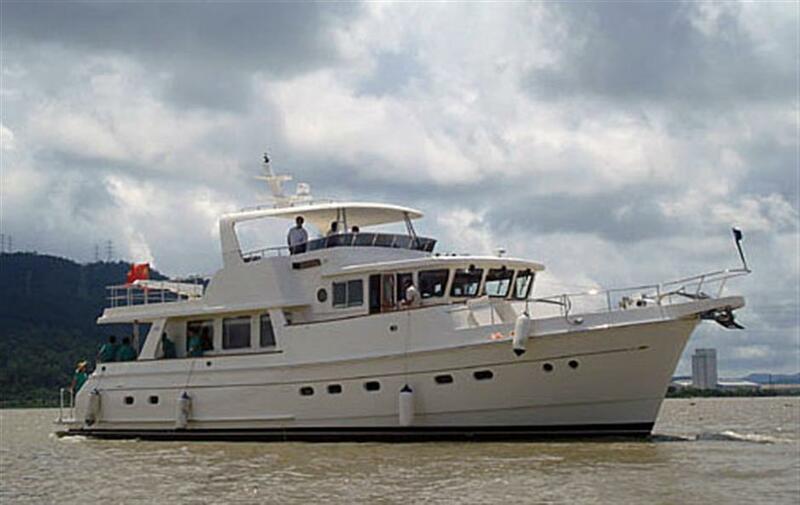 On this occasion Ed has been more impatient – he has spent the last few years trying to persuade me that we could buy a used Selene 60 and give it a complete refit. There has been one on the market for a long time now and he has kept watching it and working on me to accept that although it looked terrible in the pictures but we could change it all and still spend less than a new one. His fear was that if we delayed until we could afford the new one again, we would just never get there. As soon as the penny dropped that the day had finally come, the idea became an obsession again. We were in different countries at the time but for three solid weeks we talked about nothing else – we didn’t sleep and spent night after night calculating and researching and going over the old plans to work out what we wanted. I still wasn’t sold on the “cheapie” and spent weeks looking for Selenes for sale all over the world – contacting agents and dealers and analysing the specifications of every 60, 62 and 66 on the market. Actually there aren’t that many! We came to a total list of 12 – and almost none of them had the specification we wanted, so would all involve changes and money spent after purchase. Everything went in a spreadsheet – as always with me – and we costed out all the options when our extras were included and converted the prices all back to euros so we could compare them together. We ended up with a shortlist of 6 – spread all over the world from France to Cyprus to Hong Kong to Australia to Thailand. There were almost no 60 models on the second-hand market and lots of the ones we found advertised turned out to be sold, including the one Ed had been watching for years. 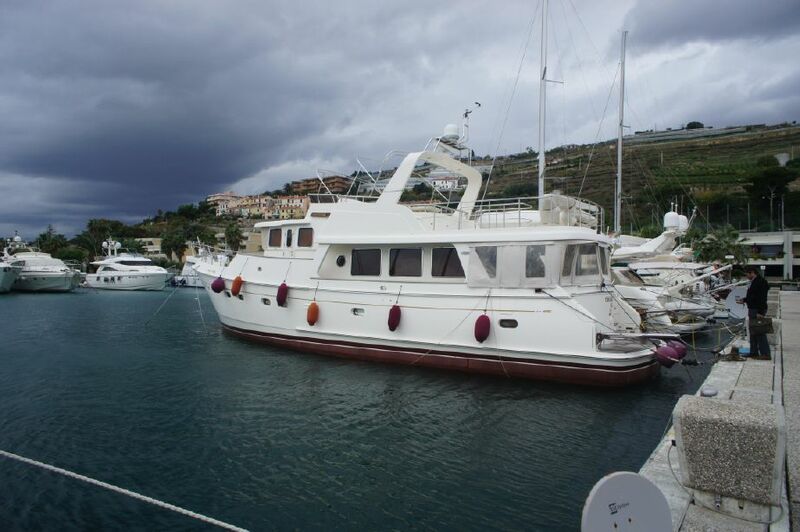 The only suitable 60 was in Cyprus – but this had a galley up configuration with the kitchen in the pilot house, rather than down in the saloon, a layout we had always said we didn’t want. 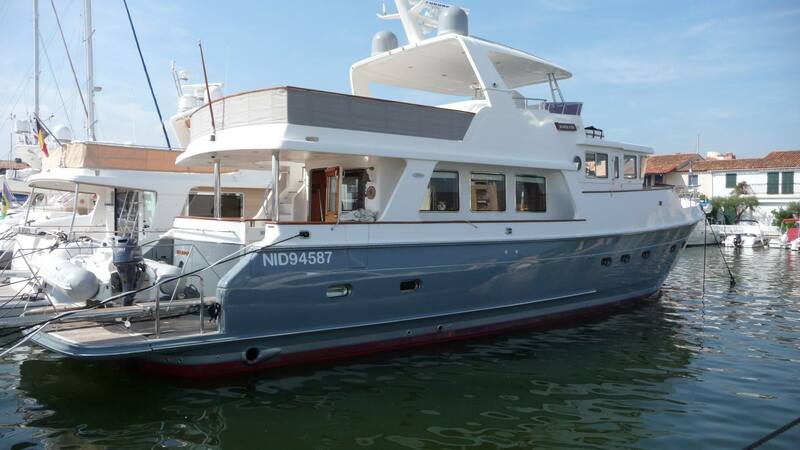 The favourite option was a 62 in France – but the owner had it in charter and didn’t want to sell for another year as he is building a bigger one and wants to wait until it’s ready. There was also a 66 in France – older but bigger and around the same price – as well as another few 66 models in various other places. The perfect 60 was advertised in Australia – but we never got any response from the owner, so can only assume that it’s sold! We decided to spend a small fortune on plane tickets and I then spent a further week planning a very complicated itinerary. We decided first to go to Cyprus – and then on to France – covering the closest destinations first. I booked our flights – which was even more complicated because I was in the UK at the time and Ed was in France so matching everything up was a bit tricky. Off we went to Cyprus in May and were pleasantly surprised by the galley up layout – there was much more room in the pilot house than we thought there would be and it seemed a much more sensible option. That decision probably counted out any other 60’s which could have been on the market! While we were there, the dealer also showed us a number of other models he had in the marina, and we got a much needed refresher of the pros and the cons and lots of ideas. Just before we flew to Cyprus, I was surfing on Facebook one night and came across the dealer – Brian Calvert – we had previously worked with in Selene Seattle. 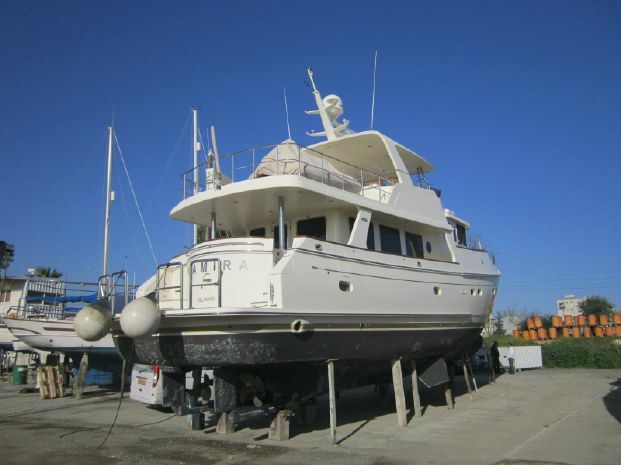 Brian had left Seattle in 2009 with his own Selene 48 “Furthur” with the idea of circumnavigating – having recently divorced he wanted to realise his own dream. He managed to make it across the Pacific to the Far East and got as far as the Philippines where he fell in love with the country and a lovely local lady, and decided to stay. Brian is now working as the Selene dealer in the Far East and I asked him for any knowledge he had of a Selene which was for sale in Langkawe (Thailand). 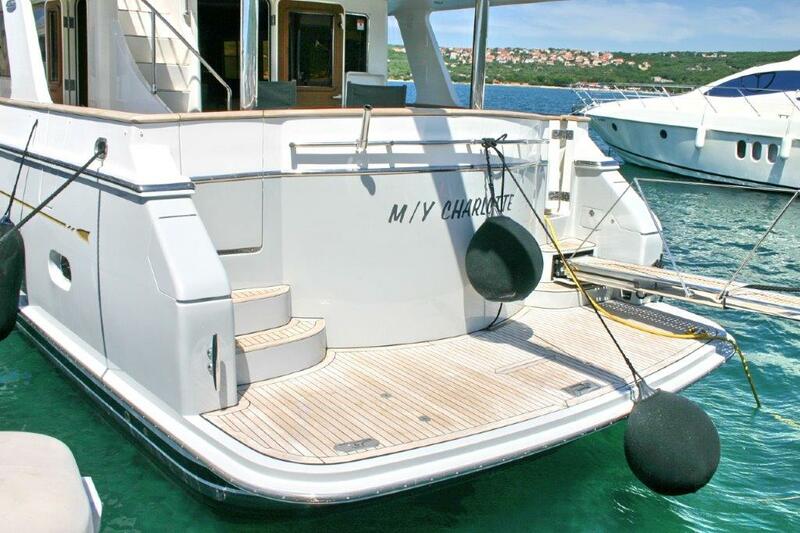 He didn’t know this particular boat but suggested instead that he would speak to Selene’s owner, Howard Chen, to get us a quotation for a new boat as he felt we might be surprised by the result. We were nervous of the response we would get – having cancelled an order before, we were not convinced we would be welcome again! On the contrary – Howard was delighted we still wanted a Selene and after a bit of negotiation he and Brian gave us a deal which was just slightly more than buying and refitting one of the second hand options. Too good to turn down, although slightly more than we ideally wanted to pay, we decided to go for it. We cancelled the remainder of our travel plans and set about consolidating our funds to send the deposit – and the rest is history, as they say! I could hardly believe that this was finally going to happen – I spent hours watching the YouTube video of a similar 60 which had been sold in Seattle last year with tears rolling down my cheeks! This dream has been so long in the making, and now it is real. We set about pulling all the old designs and technical plans from the archive and started working on the layouts – and we booked a trip to China to the factory in July to start the planning process with our project manager, Candy. It turned out that this was also the time when the first stage of manufacture would be complete with the release of the hull from the mould so we will be able to see our boat being “born”! Apart from dreading the long haul flight, neither of us can wait to get there ….